Today was a good day. I finally found myself an A1 size Duke 3D poster after wanting one for ages. A good old bit of nostalgia, but I wasn't going to settle for one of those cheap prints you find on ebay and amazon, which in my opinion are just basic zoom-ins of the box artwork and not nearly as good. I've been slowly buying a few posters relevant to games and movies that mean something to me, but (until today) I had never come across a Duke 3D poster, in any size. All I had seen (which I can't seem to find on google any more now) was a photo of a badass framed picture allegedly from the 3D realms office. Considering it was such a big game back in the day, why on earth did nobody make posters for it? My room would never be complete until it had a Duke poster on the wall. And today I found one, A1 size, good condition, and at a price where I just grabbed it, no questions asked. Although I haven't spent every day checking ebay for the elusive poster and losing sleep over it, I have had a look every now and then, even though I eventually started to think that perhaps they simply didn't exist. So I assumed that if one did come up, the seller would command a steep price for it and I wouldn't buy it anyway... Thankfully for me, not in this case! So in case anybody isn't aware of it, I'll post my find up here - apparently it was bundled with Computer & Video Games magazine in the UK, back in the day. It's a double-sided poster, the front having a pretty awesome and detailed shot of Duke and about a million spent bullets, the back showing the arsenal of weapons available in Duke for the PS1 and N64. I have no idea on rarity and value (except what I paid for mine) but it is the only one I've ever come across. If like me you've been after a Duke poster for a while - especially a big one - I have no idea what was available in the US, but perhaps try looking in the UK as well, who knows if another one may pop up at some point... As for me, I'll be getting a frame for this one! TX noticed it in that scan and advanced the theory about being an RPV replacement. I just talked a little trash about it not being as simple as duplicating actor PIGCOP. Great observation about the Wipeout connection. 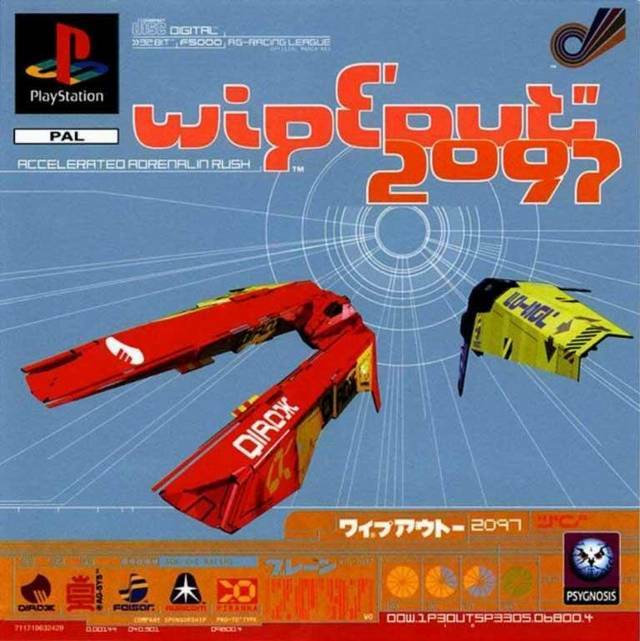 Never noticed the wipeout connection though, well observed! It's perfectly doable if your scanner lets you have the cover fully open, just scan it in parts at something like 600dpi, with an A4 sized weight on top. Then you can just stitch everything together in Photoshop. I'd be very interested in this, depending on the print resolution (assuming it's 300dpi, we could source the highest resolution Duke Nukem logo from this poster ever). EDIT: Does anyone know what issue of Computer and Video Games magazine this poster came with? I'll try to hunt down a poster and do this. Sure, I'll be happy to help. I'm nut sure which issue the poster came from but even a google search for 'Duke Nukem CVG' yields practically nothing, I couldbn't find the issue number. I only just bought it so haven't yet received it, when I do I'll scan the parts and upload them, I'll have a go at stitching them together myself but will also upload the individual pages as I'm sure there are people on here much better at photoshop than myself. I can line things up nicely but where the lighting may differ slightly on the connecting edges, making that blend together well is where I'll fall short. I'm not sure about the legalities of it, but wouldn't it be great if somebody could make some prints of this, in all sizes? I mean seriously, original posters aside, I can't believe that there aren't even any decent DN prints for sale out there. The ones on ebay are a bit naff in my opinion - hence why I never bought one and kept searching in case something better ever came up. I'll gladly live with a few neat fold lines for such a cool poster! Can we ask the original developers if they possess cut material like the cut RPV? Here's another variant of the poster that I picked up on the web sometime. Probably needs slightly more Photoshop work to clean it up and make it perfect but it is pretty damn big at 3515 x 2531. Click on the picture to get the full size. Wow, I never found that online, not even when I was looking for decent Duke desktop wallpapers. Nice one! I guess there's no need for mt to scan my poster then, no way am I going to get it neater than this creaseless hi-res picture we have here. Much easier for people to photoshop that one. Unless of course (since it was mentioned) there actually is a desire for me to scan the DN logo in hi-res for somebody. I contacted the TM artist, and he had nothing. I was not able to contact the TM programmer. Would be nice to get original artwork, like we've got that PC cover from Frederik. My husband has one. It is really impressive in size and detail.